I have always enjoyed working with patients and students, helping patients to get positive outcomes from their health problems, and helping students to live up to their potential to provide the best care for all patients and to become leaders in the profession. Geralynn B. Smith, a pharmacist by profession, spent the last 20 years of her career at Wayne State University (WSU) as a faculty member in the Pharmacy program at Eugene Applebaum College of Pharmacy and Health Sciences (EACPHS). She obtained her baccalaureate degree in Pharmacy from Rutgers – The State University of New Jersey and her Master’s degree from St. John’s University in New York. Geri practiced in hospital, community, and ambulatory care pharmacy settings prior to assuming her position at WSU. Her clinical interests were in primary care, practicing in the areas of diabetes, hypertension, and women’s health. She has presented to local and national pharmacy organizations as well as nursing organizations on these topics. At WSU, Geri served as the director of experiential education and maintained her academic role in teaching. As director of experiential education, she was responsible for the scheduling of student pharmacists on their practical rotations. As the pharmacy program transitioned from the baccalaureate degree to the Doctor of Pharmacy (PharmD) degree, she developed and implemented the practical, clinical experiences that were required for the PharmD program. Geri was recognized nationally as leader in the development of faculty as preceptors for the PharmD rotations. In 2005, she put into the curriculum a 3-semester course sequence for second-year student pharmacists to promote their professional growth and develop their understanding of the value of community engagement. Geri has been recognized by several organizations for her dedication to student development and service to the community. She was the first recipient the EACPHS Prism Prize in 2008. This award was established to recognize members of the college faculty who exemplify the principles of service learning and its impact on faculty, students, and community. 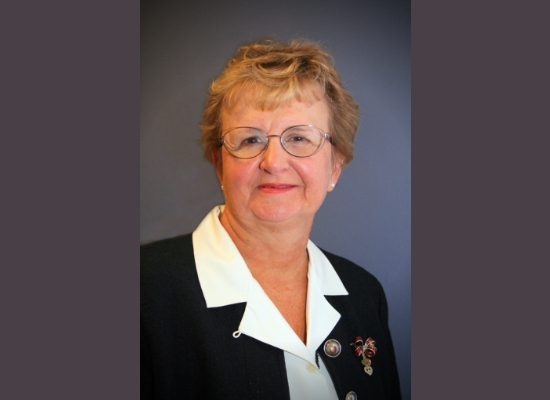 As a member of the American Association of Colleges of Pharmacy, American Pharmacists Association, and Michigan Pharmacists Association, she has held offices and served on many committees for these organizations during her career. Geri has recently retired from WSU but continues to be involved professionally by serving as a board member for the Oakland County Pharmacists Associations (OCPA), Fighting AIDS with Nutrition (FAWN), a consultant to various under served clinics in southeast Michigan; and she is also a reviewer for Currents in Pharmacy Teaching and Learning. Personally, Geri enjoys going to the theater, participating in water aerobics, reading, gardening, and spending her winters in Florida with her husband, Alan.